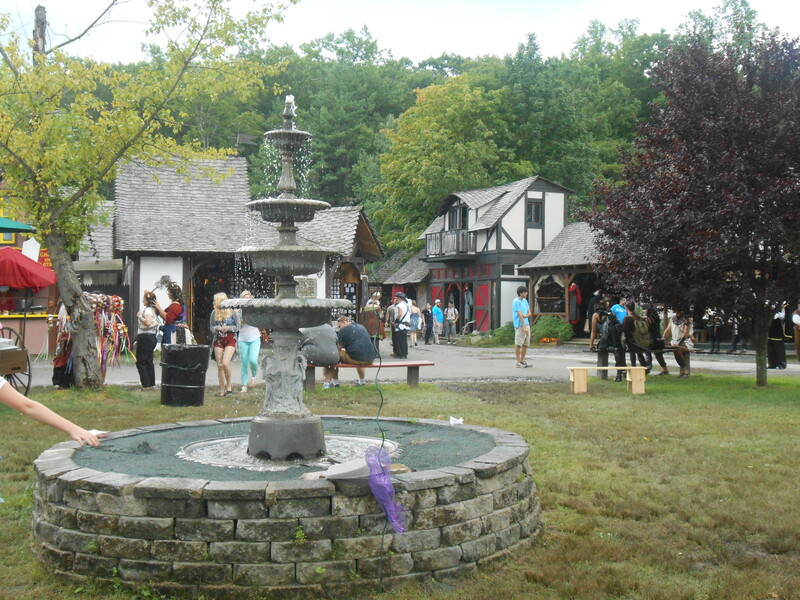 I had the pleasure of being transported back to Medieval Times at the New York Renaissance Faire in Tuxedo, NY. We entered through a castle like entrance, stopped to take a photo at Village Pillory (beheading!) 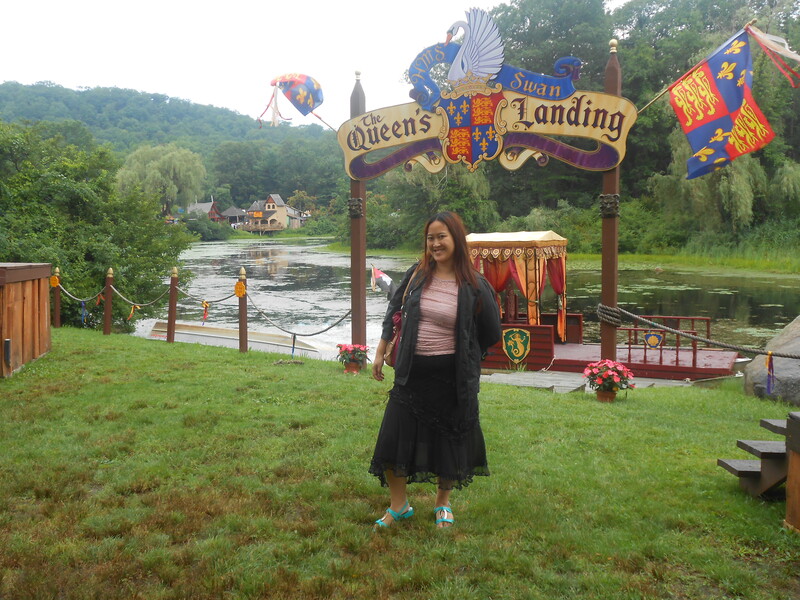 then came across The Queen’s Landing, overlooking an idyllic scene of a beautiful lake and lovely greenery. 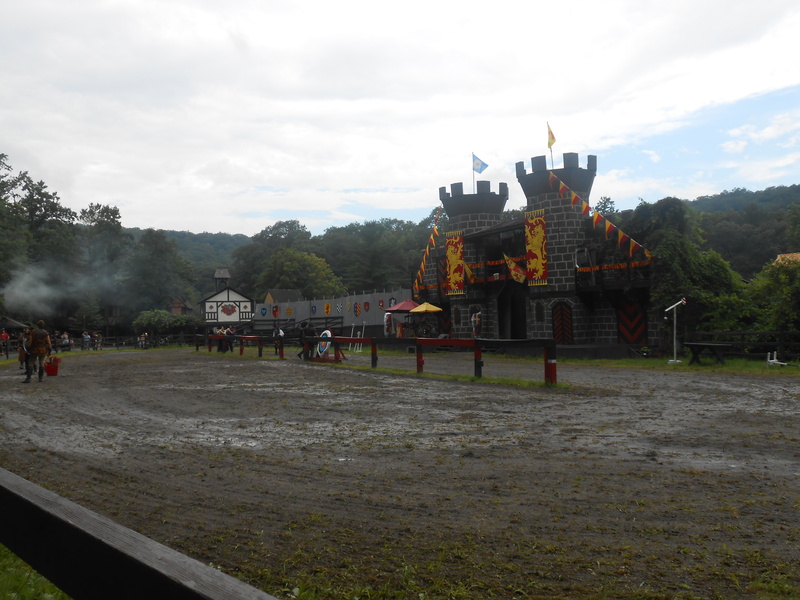 There was the jousting field with a castle, where we watched the archery competition for a bit. 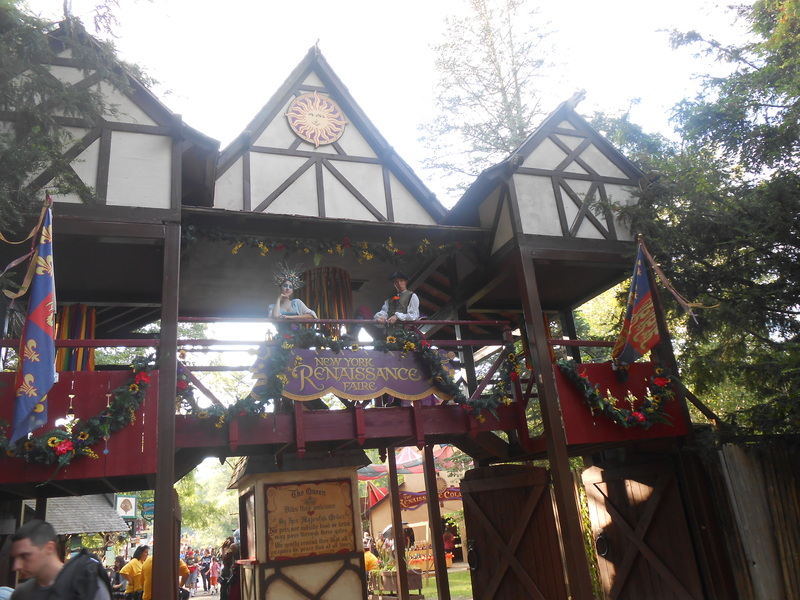 After that, we headed more into the little town, visiting various fun shops, watching minstrels sing and play guitar, getting food, then walked across a bridge to a theater, where we got to see the end of the magician’s show and the knife throwing performance by a father and son team. They were hilarious with each other and their skill in throwing knifes was quite impressive. They were able to throw the knives in various different angles, at specific targets on the wall and around any human standing against the wall. 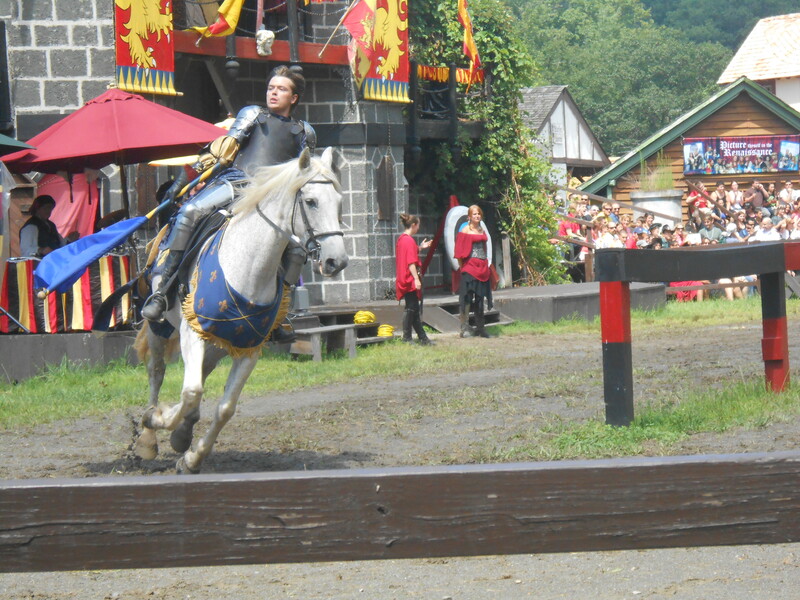 Next up was the jousting match, my favorite! 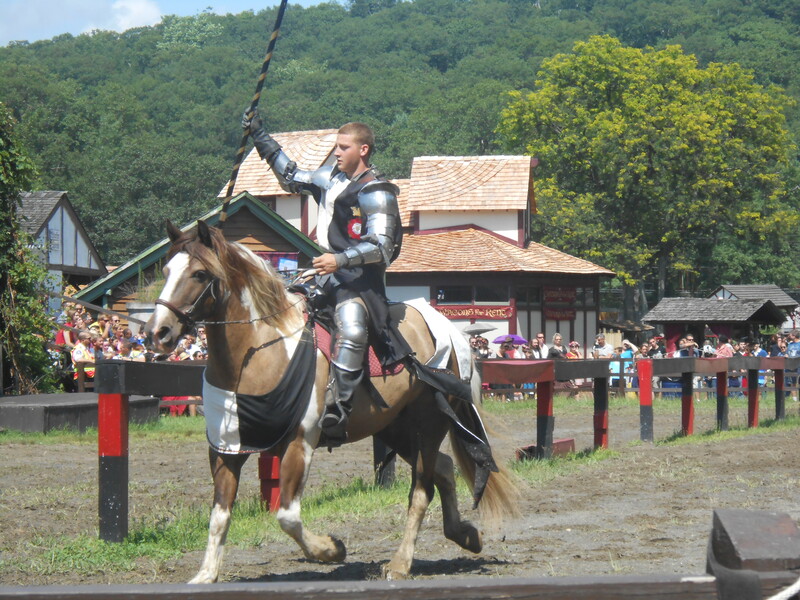 Horses, handsome knights, a Queen and action- What more could you want? The games started off with the knights trying to catch the rings with a pole, then fighting two by two, until one falls off his horse. It was exciting and exhilarating to watch. 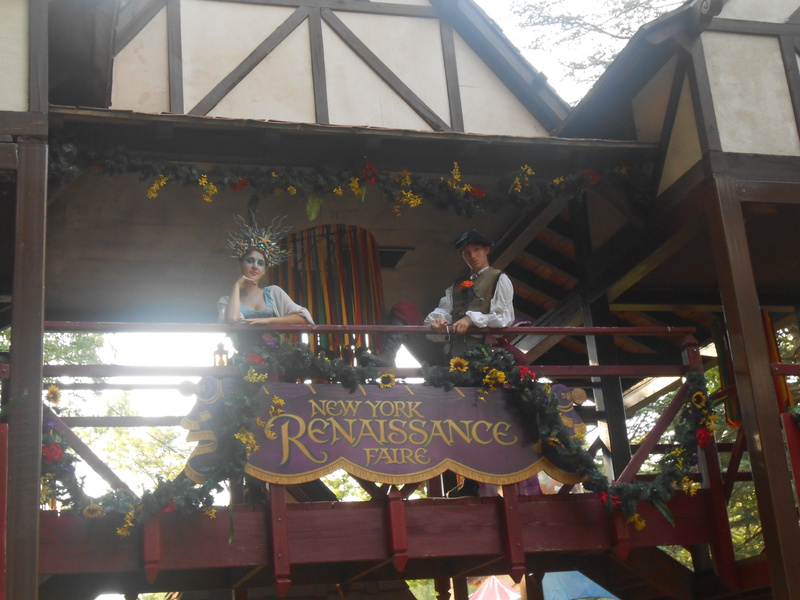 Next, we checked out the Royal Birds of Prey exhibit, then headed into the Forest and discovered more shows and merriment going on. 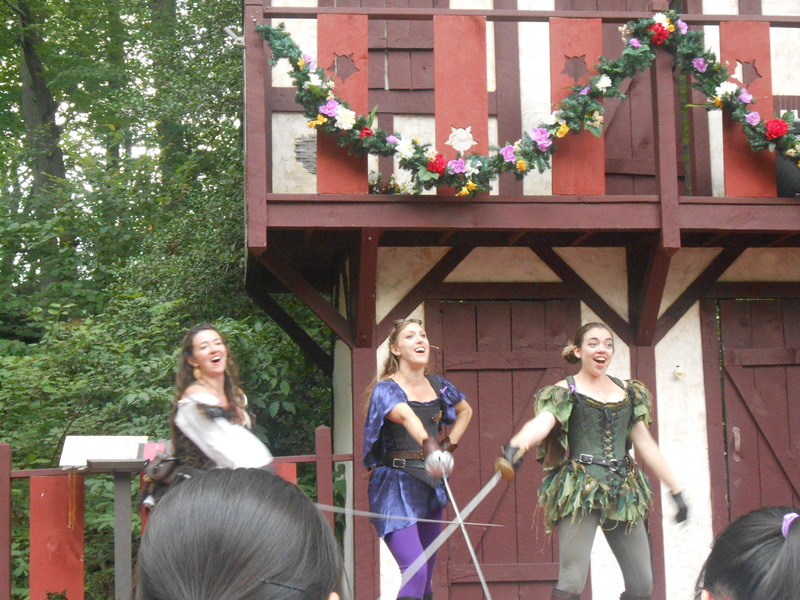 We found the Tudor Rose Theater, where Vixens en Garde were performing– 3 sassy and feisty vixens sword fighting and acting out the major scenes of Shakespeare’s “Romeo & Juliet.” It was both hilarious and entertaining. After that, we checked out a variety show, where this performer climbed up a ladder to balance on his tall unicycle and juggled knives! 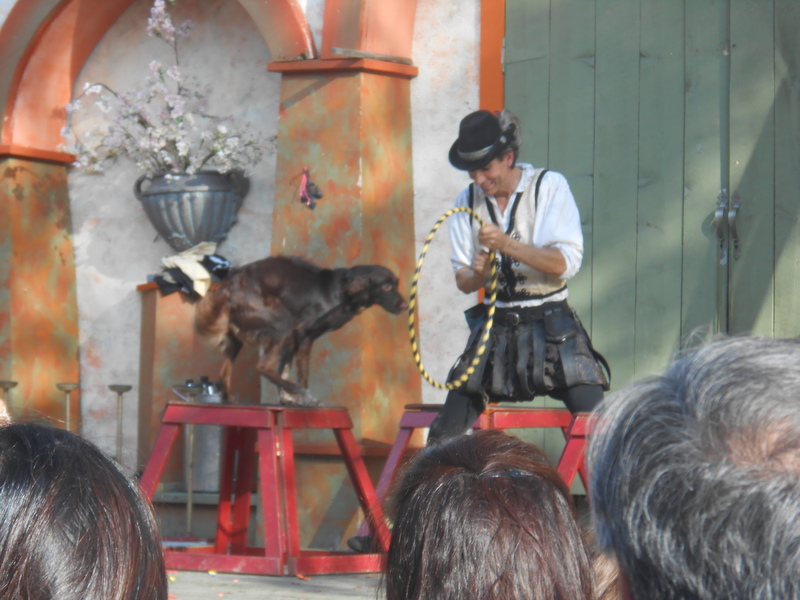 Then, we got to see his two beautiful dogs do some fun tricks. The dogs were so adorable! We went into a few different shops before we called it a day and I found a cute and delicious smelling moisturizing lotion candle, with the scent of Black Raspberry Vanilla. The way it works is: Light the candle, take the hot wax and use it as a lotion… How great of an idea is that! It was an enjoyable day filled with wonder, music, food, costumes and shows!